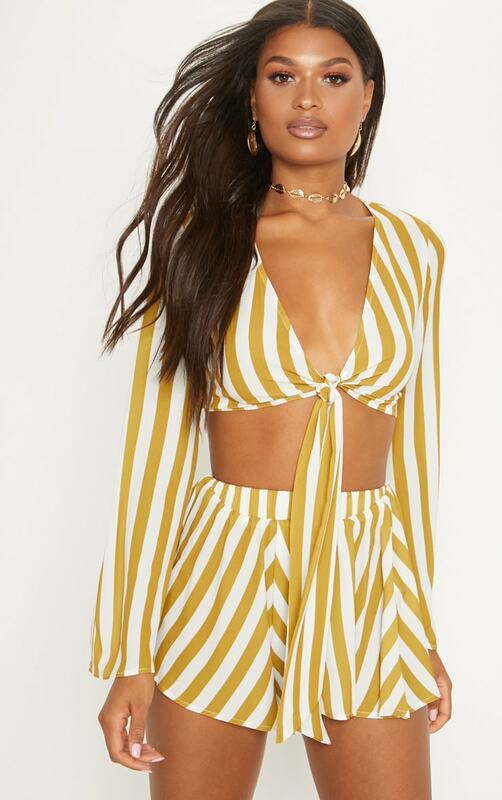 Girl this co-ord is essential for the summer season. 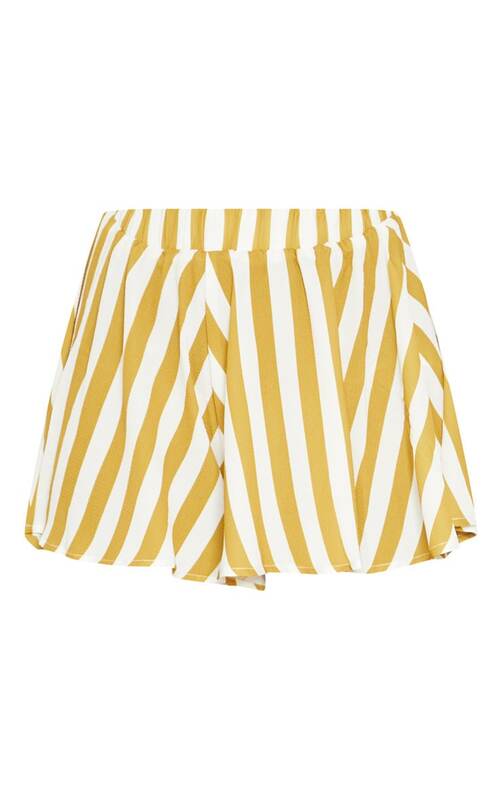 Featuring a crepe material with mustard and white stripe design and an elasticated waistband. 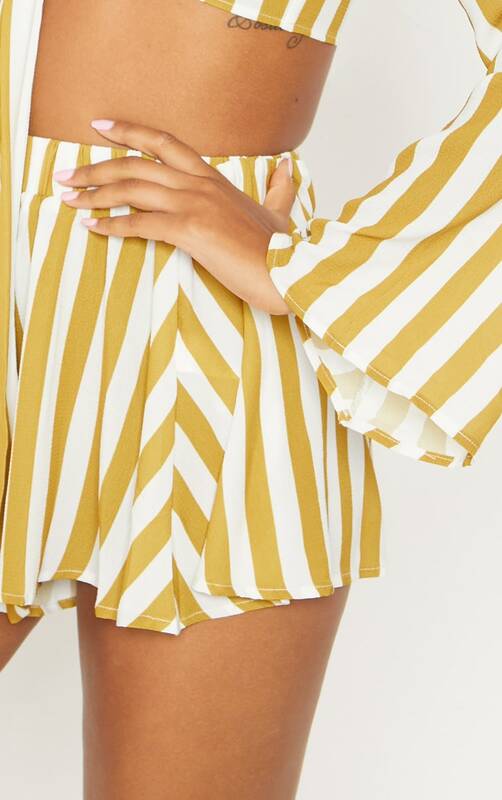 Style these shorts with the matching blouse and flatform sandals for an ultimate summer loving look.